EXEC 1: First Google, now Facebook! We're getting stomped out there! EXEC 2: Nobody knows who we are any more! My wife asked me who the hell I was last night! EXEC 3: We're doomed! DOOOOOOOMED! EXEC 1: Unless we kill Zuckerberg. EXEC 2 [interrupting]: -- Isn't that a bit, well, extreme? EXEC 3: It is, a bit. I know! Let's tell everyone we invented Facebook and sue them! They'll have to give us cash or we'll shut 'em down! EXECS 1 & 2: Shut 'em down! Brilliant! Have a bonus! The result? Yahoo's suing Facebook because it reckons it invented social networking, and internets, and toast. Facebook isn't slow to adopt other people's bright ideas, but Yahoo's gone off on a mad one here. 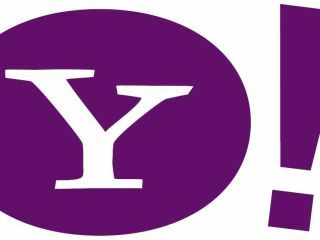 In an excellent analysis by PaidContent, it turns out that Yahoo reckons it invented personalised music stations, the ability to share items only with selected people, the customised home page, the ability to send messages to your friends, targeted advertising, mountain climbing, opera, the medium of dance and the hamster. Only some of those are made up. It's yet another outbreak of patent trolling, a plague on the tech industry, and it's nonsense: Facebook can't steal Yahoo's bright ideas because Yahoo doesn't appear to have any. My email inbox contains a great example: it's my annual Flickr Pro renewal, and I'm seriously wondering whether to bother because I suspect Yahoo's going to bin the service sooner or later, irrespective of its promises. Flickr was, and should have remained, absolutely massive. Yahoo, as it often does, let it wither. Google killed it in search, Facebook in social, and the only idea it appears to have left is to get the lawyers in. The worst case scenario for Yahoo? It doesn't get any cash from Facebook and continues to slide into irrelevance. The best case? It gets some cash from Facebook and continues to slide into irrelevance. As shiny-faced punch-magnet David Cameron once said of Tony Blair, "you were the future, once".